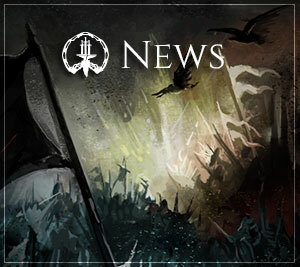 Time for another Friday update! While this one isn’t as chock-full of great news as usual, there’s still a lot of stuff to talk about. First, let’s start with a fun subject: swag, merch, and stuff! We’ve been saying, it seems since forever, that we were going to start answering the calls for swag “soon.” Well, soon is almost here, as I’m happy to say that our store is in the final shakedown/testing stage with our IT Backers. We’ve been listening to the feedback we’ve been getting and working with our partner to add new tech, convenience features (which actually save you money, not “convenience features” that you pay extra for), and other improvements to the store. We’re waiting on one more final piece of tech from them, and once that is in place, we will open the store. Right now, I expect it will be on Tuesday, but, as always, time will tell. I’d like to say a big “thank you” to our IT folks who have been helping us out, and to our partner, who has been patiently listening to all of our feedback and making changes accordingly. Secondly, we are all set for another round of Friday Night Fights! We’re in the midst of tracking down three major problems (one of which we believe we have fixed), but none of the problems affect the game’s stability or overall performance. We believe that the biggest problem is due to our changeover to 64 bit and VS 2015, so we weren’t surprised when something hiccupped. OTOH, it has consumed a little more time this week than we would have liked, so the User Story update isn’t quite as large as we had hoped it would be. Then again, it’s still a very good one, and the changeover we made needed to happen. And, as usual with us, we’d rather do these things sooner, rather than later. Thirdly, as to the User Stories update, here we are: 23 Existing Cards with 60 completes and 1 New Card with 4 completes. As a Backer I’d like to see general improvements in C.U.B.E.’s interface and functionality. As a Backer, I’d like to play in a procedurally-created environment. – Part Three. 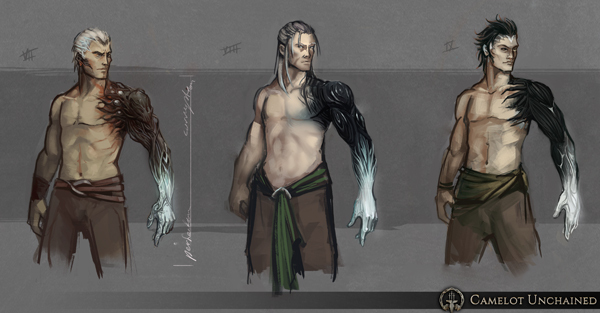 As a Backer, I’d like to test the updated male Frost Giant model. As a Backer, I’d like to test the new female Luchorpán model. As a Backer, I’d like to test the updated female Fir Bog model. As you can see, there were quite a few really nice wins for us, but it is a little lighter than we would have liked. OTOH, pulling off the Band-Aids and doing the conversion was the right thing to do. 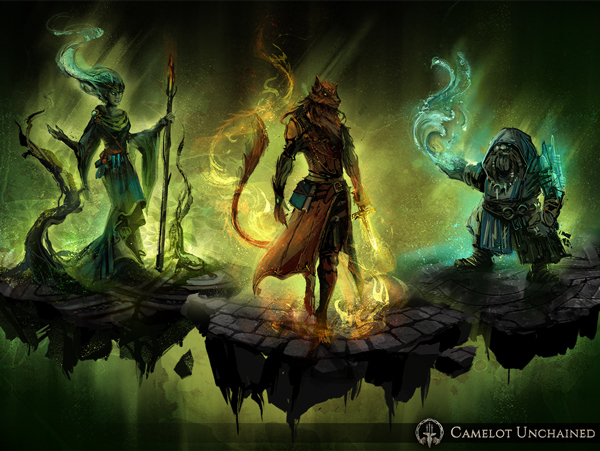 Fourth, we revealed the latest class trio for our game: the Mages! 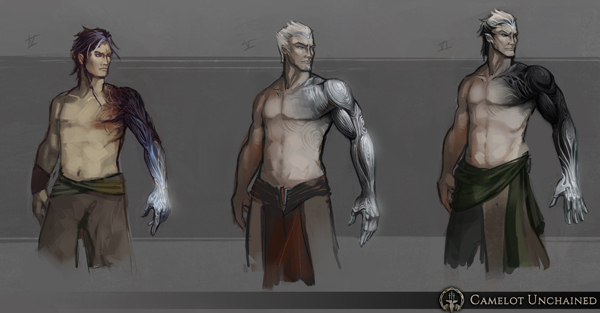 While these folks might not sound as interesting (or BSC) as some of our other class reveals, they are quite important to our game in terms of the many roles that they can fulfill. And, while they might not be as thematically strong in terms of the legends in the real world, our take on Druids is quite different. However, as always, if these folks don’t work out, we can retool them. One of the important things to keep in mind about this trio is that we’ve been testing the tech for the A.I.R. system using what is essentially two of the three Mage classes. Getting these folks into the Beta will be relatively easy once it’s their turn. But, as always, let us know what you think on our Forums! For more information, head over here – http://camelotunchained.com/v2/class-reveal-magic/. In other news, we’ve been working on the Backer Rewards system for our game. As a reminder, Backer Rewards (or loyalty rewards, veteran rewards, etc.) is our way of thanking the folks who helped, and will continue to help, make Camelot Unchained™ a reality. These rewards can’t be bought for cash, can’t be traded, etc., but are simply our way of giving our players lots of choices of stuff to choose for their character, C.U.B.E. home, and so much more. Now, we are hoping to make the choices difficult for you, since that is part of the fun, and of course, none of these items is designed to give any advantage in the game. Our Backers (and future players), will earn Backer Reward Points for every month that they are supporters of this game. They will then be able to turn in those points for items. And again, neither Backer Reward Points, nor these items, can be bought for cash, and each Backer earns the same amount of points every month, no matter what tier that they have purchased. 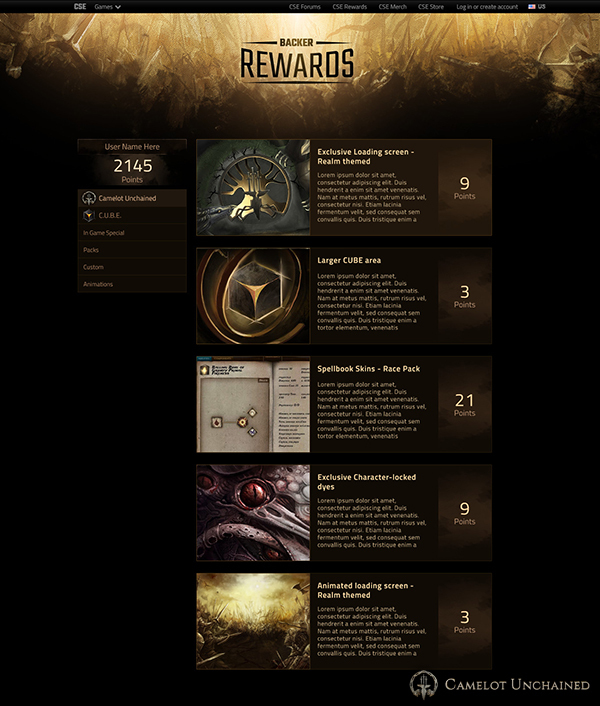 Here’s our initial pass at a mock-up for the Backer Rewards page. 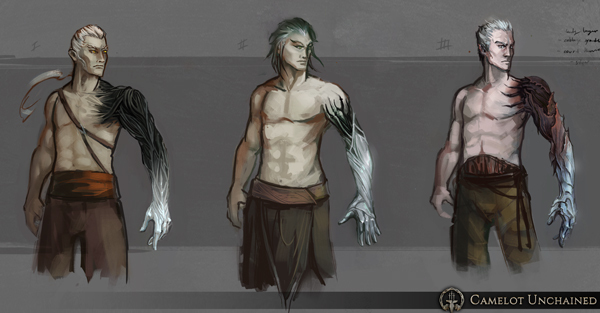 For today’s extra-special piece of concept art, more on the Silverhands! First up, some of the female Silverhands. Now for some of the men.